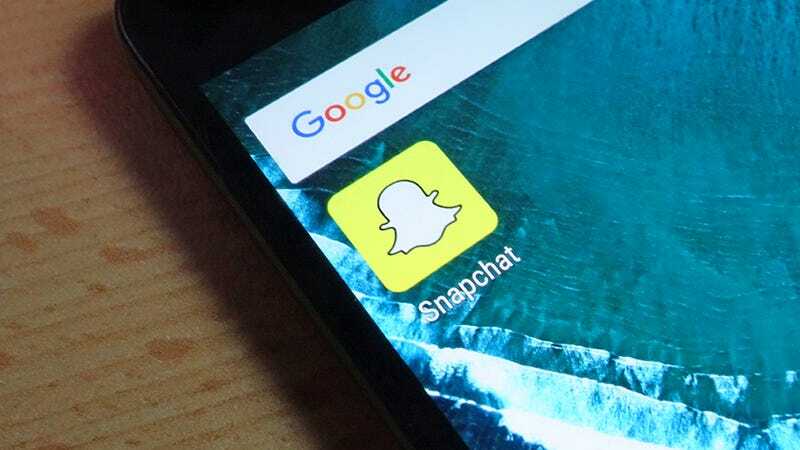 Snapchat made its name as the ephemeral social app, where your photos are lost forever after a few seconds of looking at them. But it’s not at all difficult to save your Snapchats for posterity. Here’s how to keep any images you send or receive and back them up in the cloud. To find the setting, tap the ghost icon at the top of the camera screen in the app, then the gear icon, then select Memories. Tick the box marked Auto-save Stories and tap Save to... to make sure your snaps are saved to your phone as well as Snapchat’s own internal library. That means everything you put on your Story will automatically be stored in your phone’s gallery, where your third-party backup tool of choice can find it. If you’re sending a Snap straight to one of your contacts rather than your Story, you need to remember to tap the save icon (a downward-pointing arrow) each time after you’ve taken a shot. For Snaps sent to you, screenshots are the solution (though the sender will get a notification that you’ve saved the picture). Power+volume down on Android or sleep/wake+home on iOS, if you didn’t already know. Your phone may already be set up to automatically send pictures from the camera roll back to the cloud, but it’s worth double-checking. In Google Photos (on Android), go to Settings from the app menu, then Backup & sync, and select Back up device folders. Make sure the Snapchat toggle switch is set to On. If you’re screenshotting Snaps you’ve been sent or moments from other people’s Stories, then you also need to enable the toggle switch for the Screenshots folder. On iOS, everything should happen automatically whether you’re using Google Photos or Apple Photos, because iOS doesn’t mess around with separate image folders. Head to Photos & Camera in the Settings app to ensure your upload options are all in order and everything is being synced back to the iCloud Photo Library (if that’s where you want to keep your Snaps). If Dropbox is the photo uploader you rely on, some extra work is required on Android, because Snapchat for Android saves Snaps to a different folder than the main camera folder. You’ll need to send pictures to Dropbox manually from the Snapchat folder using your file manager of choice—Android Marshmallow and Nougat come with basic built-in ones. Confusingly, screenshots (of other people’s Snaps) are handled automatically on Dropbox for Android, so there’s no extra step needed. And over on iOS, again everything is put in the same camera roll bucket, so Dropbox will catch all your Snaps and screenshots without you having to do anything, as long as they’re being saved to the camera roll. That’s all there is to it. Your Snaps are saved to your photo library, and it’s almost as if the vanishing photo fad never happened. Of course it also means you can share your Snaps through other apps too.